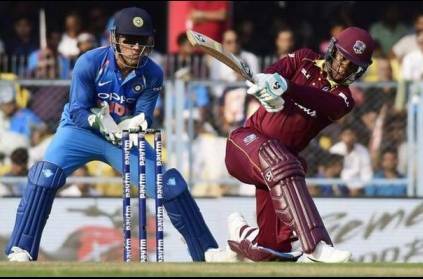 Shimron Hetmyer has managed to attract everyone's attention in a short span of time and is already one of the players to watch out for this IPL. Shimron Hetmyer, since leading the West Indies Under -19 team to their first title, has been rapidly rising through the ranks, but really made his mark in the one day series against India, where he scored 259 runs at an average of 51.80 and a strike rate of 140.00. The RCB fans were delighted when they got him during the auction, and now have high hopes on him to deliver, who think he can create the kind of impact Chris Gayle had created for them in the past. RCB fans will be hoping that the batting Trio in Virat Kohli, AB de Villiers, and Simron Hetmyer can really click, which will take them a long way in the tournament. A recent video of him practicing at the Chennai nets shows that he is really hitting the ball well and is getting ready to take on the CSK bowlers on the 23rd of March. On the other hand, the CSK bowlers will be looking to get him out as early as possible, and if anything in this video is to go by, they should stay away from the full-length deliveries to Hetmyer !!! This page contains news relating to various facts and events. The views are generally about current affiars and general topics in diversified areas such as political, international, national, and regional issues, sports, health, travel, lifestyle, technology and business. People having similar interets on the above topics will find this page useful. Hetmyer at net practice in chennai | Sports News.